Angel Coulby is an English actress who gained widespread fame thanks to her role as Gwen in the fantasy series Merlin. If you want to know more about the lady who stole King Arthur’s heart, then read on for all the interesting facts you need to know about Angel Coulby. The lovely actress hails from North London, though she was born in the Islington district of Great London on the 30th of August, 1980. She moved away to Edinburgh later on in her life, where she studied acting at Queen Margaret University. She’s a very private individual, so there is no info on her family nor other parts of her earlier life. But it is known for certain that she has Afro-Guyanese ancestry. 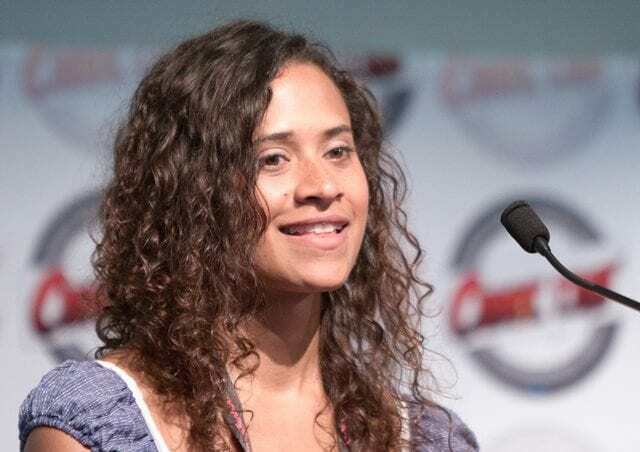 Angel Coulby got her debut in television as a student who had encountered a ghost in an episode of the American paranormal reality series Scariest Places on Earth. This appearance didn’t get much attention though. However, the next one very well did. Angel was cast in the role of Shiv for four episodes of the BBC series ‘Orrible. This pushed her to prominence on the small screen, and afterward, she got roles in the 2002 series Casualty—as Sally for an episode, and Having It Off—as Kylie Riley for the duration of the series. Having It Off was a one-off comedy series that ran for a total of one season with six episodes. A Good Thief, a 2002 TV movie, would follow up as her next on-screen appearance. In 2003, Angel Coulby landed the role of PC Louise Fraser in the ITV two-part miniseries The Second Coming. The series was received generally positive appraisal, and critics applauded it for the bold storyline it decided to tell. She later appeared in Manchild and Making Waves. Then in 2004, she got to play Amber in the comedy series As If for seven episodes. That was followed by her role as Jemma Ryan in the BBC crime series Conviction for six episodes. Her next couple of appearances in series and movies were minor roles, until the year 2005. Angel Coulby played Gillian Lafferty in the crime drama series Vincent. The series followed a private detective agency as they tried to solve cases the police were unable to. In 2006, she appeared on an episode each of Hustle, Doctor Who, The Bill, and Tripping Over. Her filmography in 2007 was also minor roles, but on Talk to Me and The Visit, she got to appear on four and six episodes respectively. Angel Coulby’s major break, and what most people worldwide know her for, was when she was cast in the main role of Guinevere ‘Gwen’ in the well-received fantasy-adventure series Merlin. The series was based on the legend of the wizard Merlin who was a close friend and advisor to King Arthur. Gwen was a maidservant to the series’ eventual villain Morgana Pendragon. Her humble backstory, easy character interactions and eventual love interest for King Arthur made Gwen a very likable character; Angel Coulby’s portrayal of the character was even more loved. Coulby featured in two main roles in 2013. The first was in the drama series Dancing on the Edge, a series about a black jazz band in London in the early 1930s. The second main role was in the British-French crime drama The Tunnel, where she played the character, Laura Roebuck. The Tunnel—an adaptation of the Danish-Swedish crime series The Bridge—ran from 2013 up till 2018. The series garnered several awards, including the International Emmy Award for Best Performance by an Actor (won by lead actor Stephen Dillane), Royal Television Society award for Music – Original Score and Music – Original Title, and Globes de Cristal Award for Best Television Film / Television Series. She currently has the main voice role of Tanusha ‘Kayo’ Kyrano in the animation series Thunderbirds Are Go, which began in 2015 and is still ongoing. The actress appeared in Body Slam, a 2017 short movie. In 2018, she received the main role in the crime drama Innocent as Detective Cathy Hudson. The series ran for a season of four episodes, with each episode running for 60 minutes. She has also been a fan of the fantasy genre, citing Labyrinth and The Wizard of Oz among her favorite movies. Parts of the series Merlin were filmed in France. Angel Coulby has stated she loves filming in the country. Before she became an actress, she worked behind the counter at a deli.